After a good vacation now the time to new article has came. 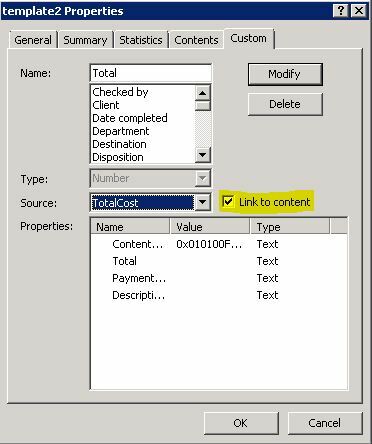 In this article we talk about how to set Sharepoint Document Library metadata from Excel Content. 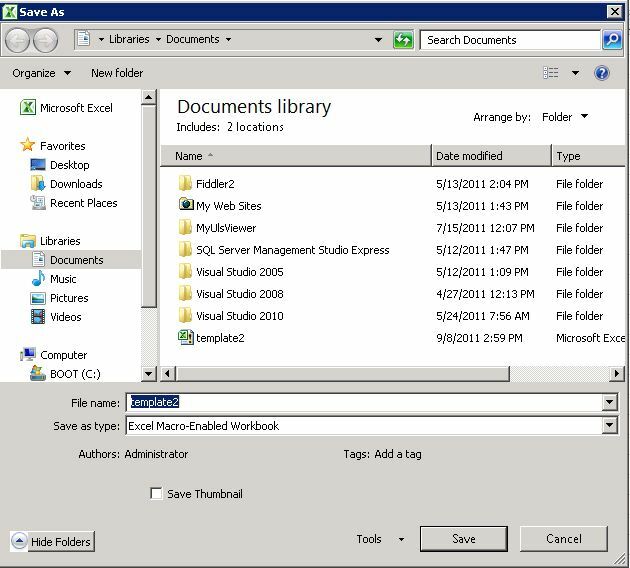 The problem is that if you are using Excel 2007 or Excel 2010 and you create a document library on Sharepoint with extra metadata columns and open an excel doc template from this Document Library -> new Excel Document. You can able to see server properties show us the needed metadata. 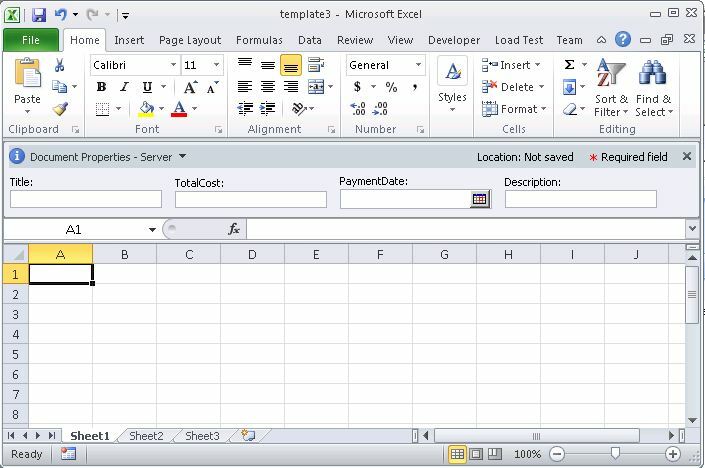 After we change Document Properties and map it from excel content (I mean any mapped excel cell has changed we want mapped server properties should to be changed) and save the document. and notice that the server properties is not updated. This actually is not a problem this issue is one of by design. 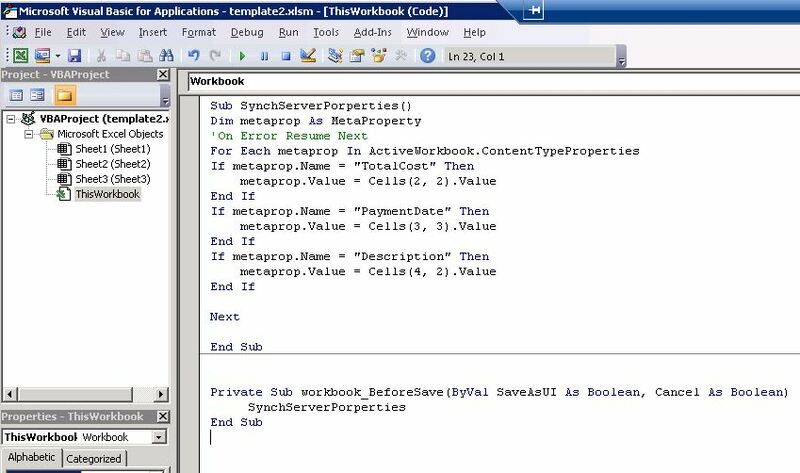 Only way to do it coding some visiual basic for Excel 2007 and Excel 2010(.xlsx file format). 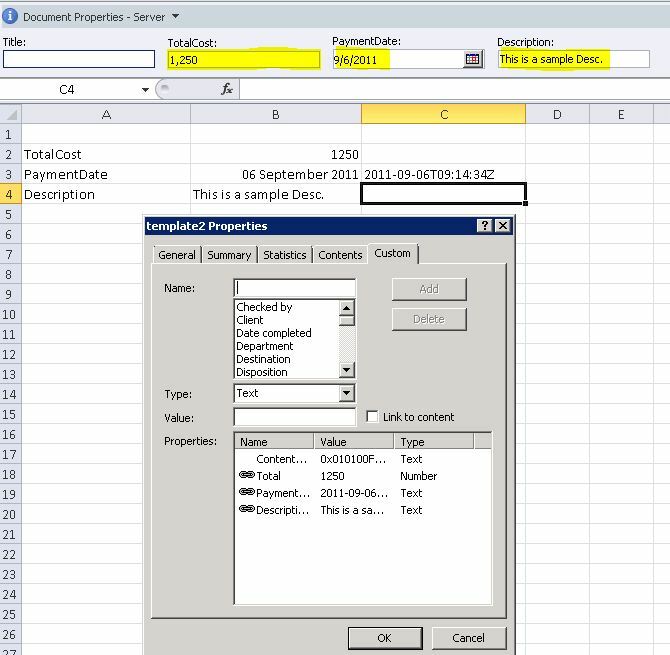 But if you use old format of Excel 97 or Excel 2003 (xls) you can still able to use custom properties like as i mentioned. 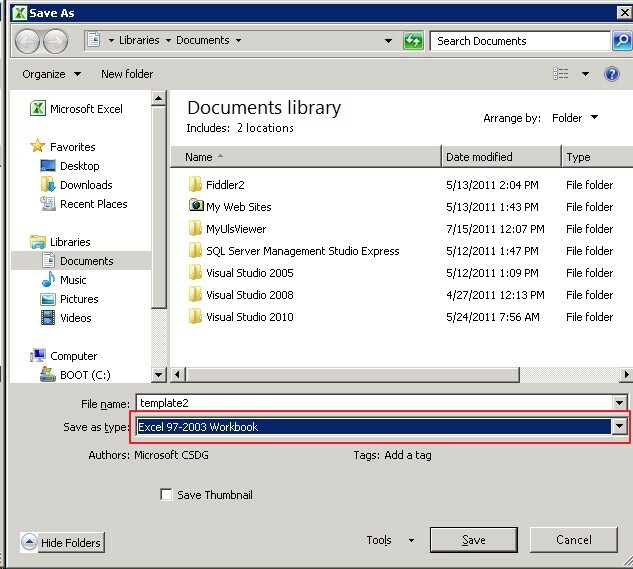 First Solution – Using old format xls files. After opened this document i save as this document as Excel 97-2003 workbook type . 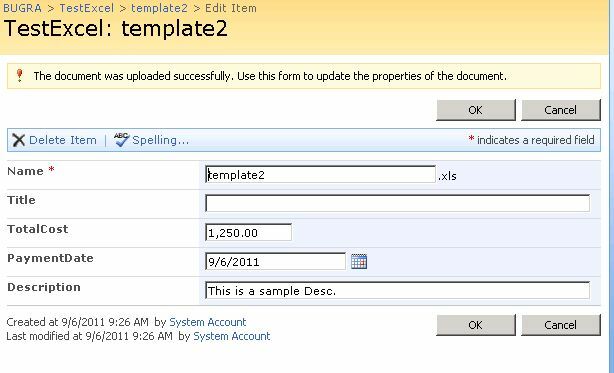 Notice that Document properties can not updated when you changes the cells in content. For automatically updating this properties we should make some bindings. 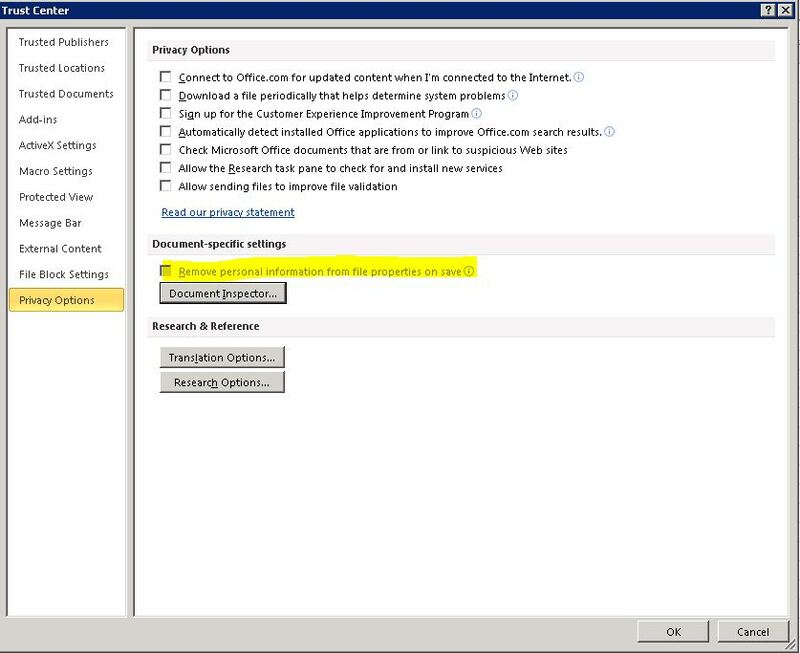 So click Document Properties box and select Advanced Properties. Select “Custom” tab.And Select Properties of Total . Check “Link to Content” link this activates Source Combobox. 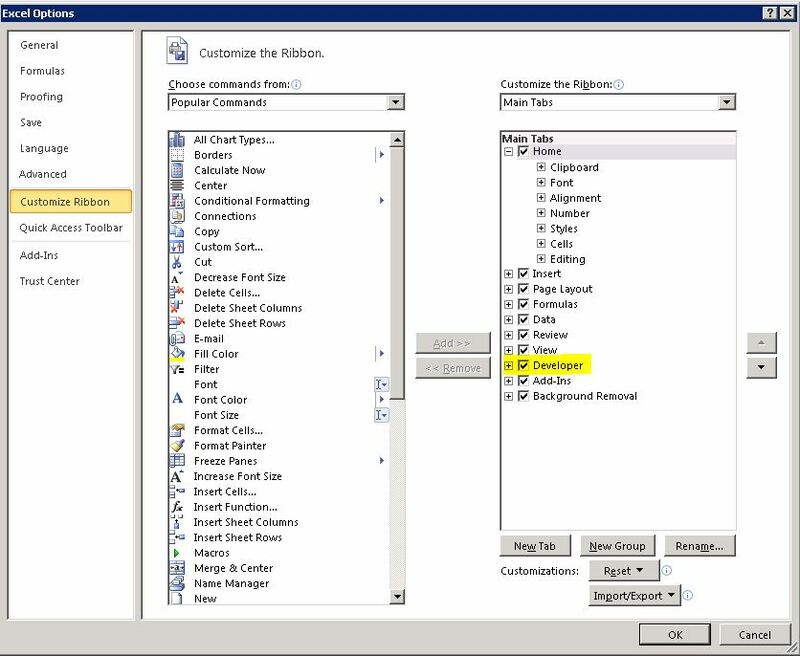 In combobox select named cell. After all binding done correctly. You have to see Document Properties has changed and updated. Save the Excel Document to your computer. 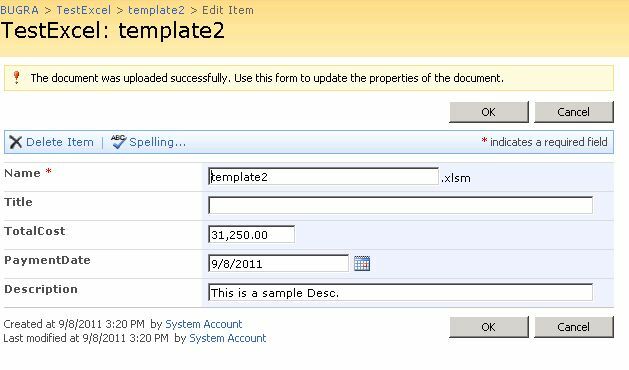 Get back to sharepoint list and upload this excel document to library. While updating if you do it correctly , metadata fields should be filled automatically. 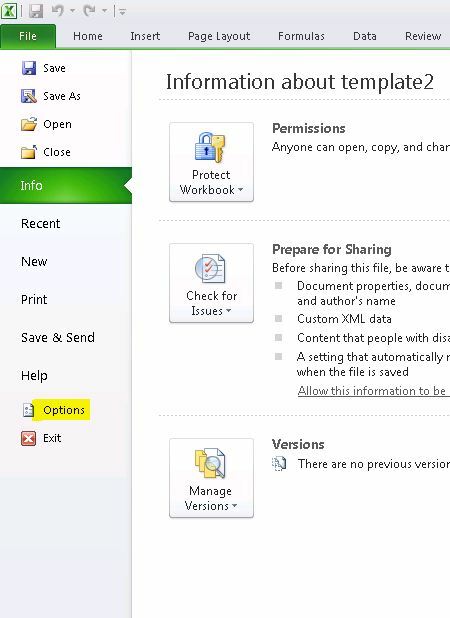 Click ok. and see All Document View show us document content data in view. 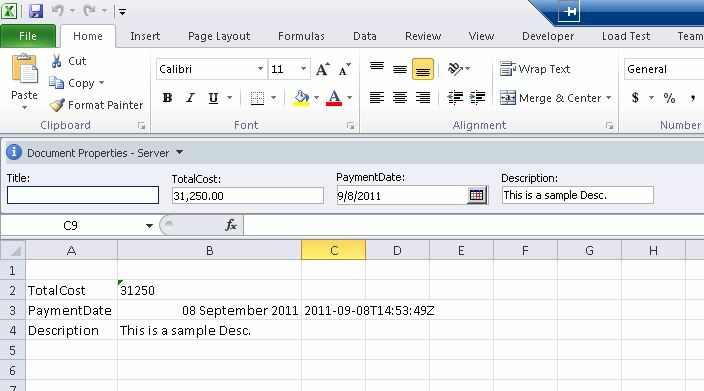 In next artcile we do it this via using some simple VBA script for Excel 2007-Excel 2010 formats.